Dennis Villafranca is the Jeepney Guy. 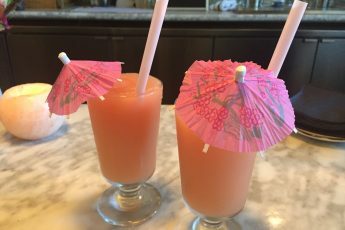 He started his Filipino catering and pop-up business over seven years ago. Last August, Dennis made a permanent home for the Jeepney Guy inside 7th West, a bar and event space located in West Oakland. 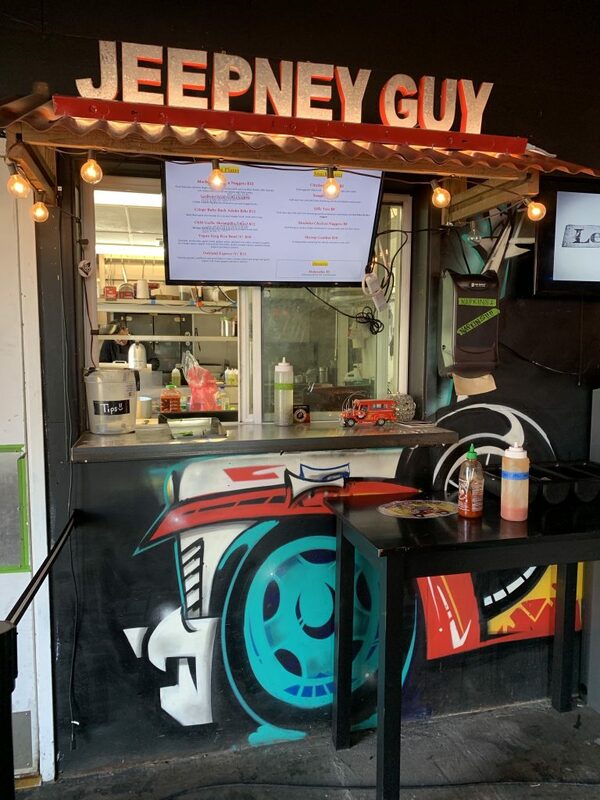 Although I have yet to check out the nightlife at 7th West for drinks, fun, and entertainment, I have made my way to the Jeepney Guy to pick up weekday lunches with coworkers. I was taken aback when the Jeepney Guy’s famous lechon, crispy pork belly was not available when I arrived. At this time, it’s only available on weekends. That just forced me to try new and different menu items. 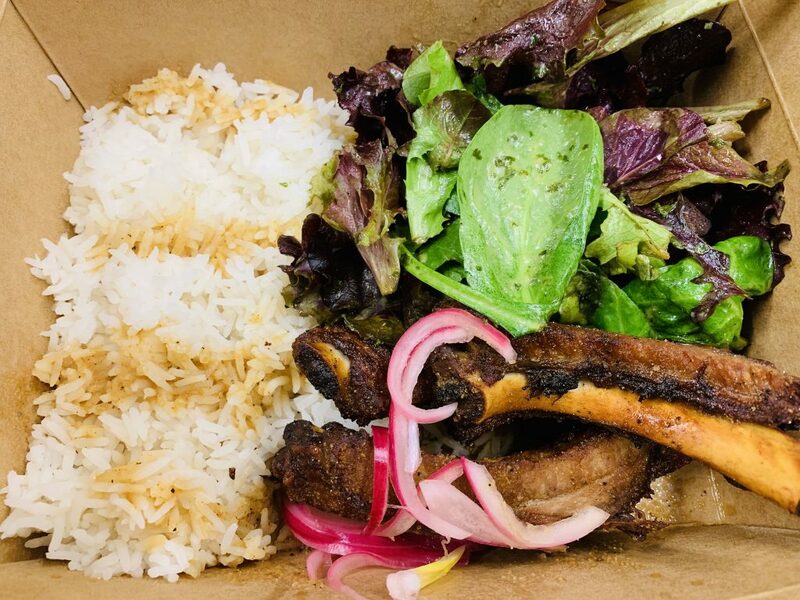 On my first visit, I tried the crispy baby back adobo ribs which comes with rice and a salad. The pork ribs are braised in a garlic, soy, and vinegar broth and then deep fried. It reminded me of having Chinese dried fried ribs which was not what I was expecting. The texture was too dry for my taste even with adding sweet chili sauce. 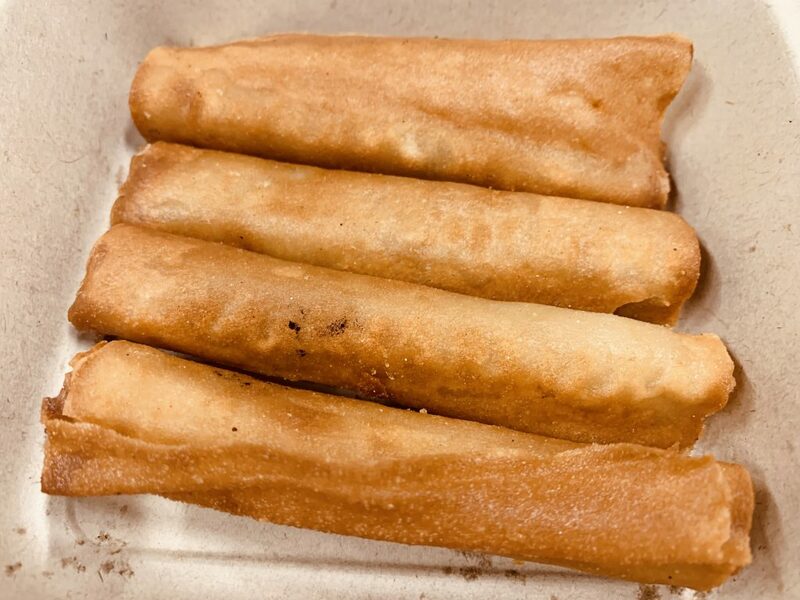 I also ordered the chicken lumpia which were crispy and flavorful. One of my coworkers did the best at ordering. First she got the “silly tots” which is a combination of tator tots and mochiko chicken nuggets. 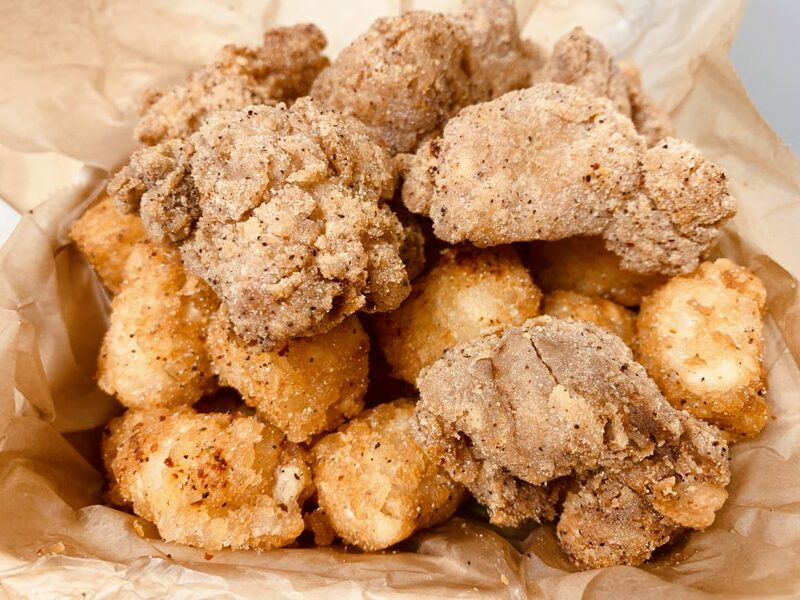 The tator tots were deep fried to a golden brown, seasoned with a chili lime seasoning, and even more enhanced with a topping of diced jalapeño and onions. As much as I thought the tots were delicious, the mochiko chicken was even better. The chicken is marinated in coconut milk and a rice flour batter before they are fried. 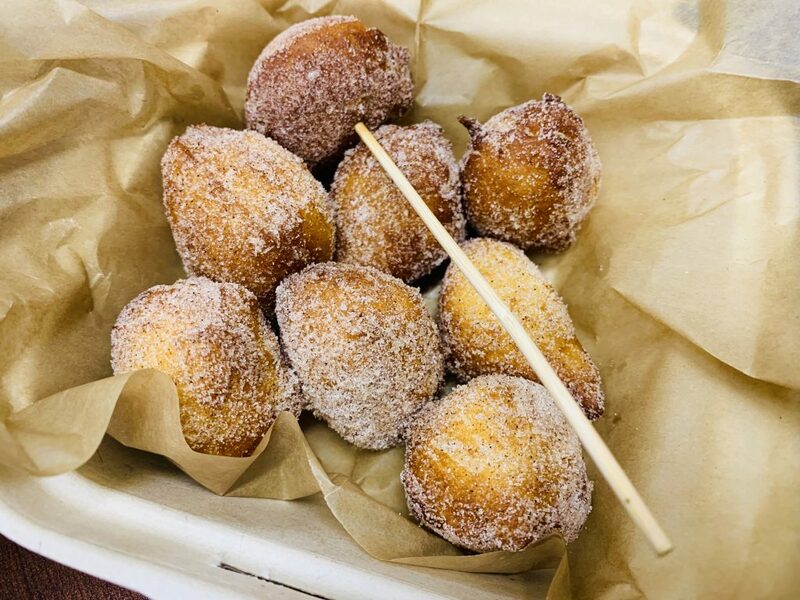 My coworker also ordered the dessert, the malasadas which are fried donuts dusted with cinnamon and sugar. They were light and pillowy. 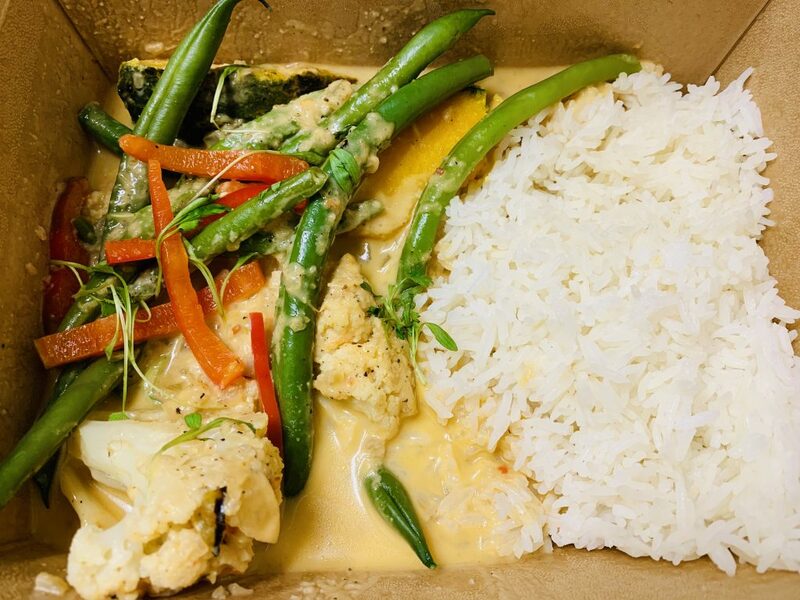 On my next visit, in addition to the “silly tots” I tried the Oakland Express which is a vegetarian dish with Kabocha squash, cauliflower, and green beans in a spicy coconut curry. It was nice to have an option that was vegetarian as well as not fried. I really enjoyed the flavor and the heat.